During the 2017 American Music Awards, Disney debuted a new trailer for its adaptation of Madeleine L’Engle’s 1963 novel. The Disney movie shows off a girl’s fantastic quest across the universe to save her father. In it, we’re introduced to a young girl named Meg Murry (Storm Reid). She sets off with her younger brother Charles Wallace (Deric McCabe), her friend Calvin O’Keefe (Levi Miller). Later, the 3 kids are joined by a trio of witches. The three witches (Oprah Winfrey, Reese Witherspoon, and Mindy Kaling) then help these kids. They are all searching for her missing father, Alexander Murry (Chris Pine). Along the way, they visits several fantastic planets and discovers’ that the universe is under attack by a personification of evil, The Black Thing. 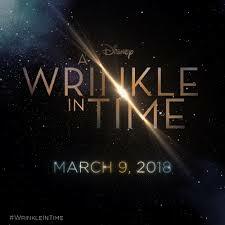 A Wrinkle in Time is scheduled to hit theaters on March 9th, 2018.